Oily skin is exactly that. It’s an abundance of oil on your skin, especially in your “T-zone,” which is the area across your forehead and down the bridge of your nose, including your chin. Simply put, your sebaceous glands (the glands that produce the oil your skin needs) are hyperactive, giving your skin too much of what normally is a good thing. Because of all that extra oil, your skin can feel greasy, look shiny, and be more susceptible to breakouts or acne. The triggers of oily skin vary, from genetics and diet to hormones and cosmetics. The result is overactive, oil-producing glands. Be gentle when you wash your face. Harsh scrubbing can stimulate more oil production. Oily skin can appear shiny and heavily textured. When you have it, you’ll notice the excessive amount of shine and feeling of oil on your face by midday. In addition to this, a greasy feeling, enlarged pores, breakouts, and other blemishes often accompany oily skin. Treatment for oily skin is available, like Sebasorb. Dry skin can cause scaling, itching, cracking, and/or your skin to fall off in flakes. If you suffer from this uncomfortable condition, Summers Labs products like Triple Cream and Comfort Bear Bar can help soothe, heal, and prevent irritation. Creams or ointments like Triple Cream and Cutemol can help maintain your skin’s natural moisture, helping to prevent the skin from drying out. Practice proper skin care, using natural soaps. Moisturize frequently, especially after washing. Treatment for oily skin includes absorbing excess oils, and leaving essential oils in place. Wash your face gently, moisturize, and then use absorbents like Sebasorb. Use a noncomdogenic, liquid-based makeup like Liquimat. The extra oil that your body produces cannot only feel and appear uncomfortable, but can also lead to breakouts or acne. Oily skin still needs to be moisturized, so don’t skip that step. Make sure you use a moisturizer that’s natural and not oil-based. Oily skin can be treated with healthy skin care and proper application of absorbent products, like Sebasorb. Let Summers Labs help you tackle the discomfort that comes with this condition and make treating oily skin your simplest task! 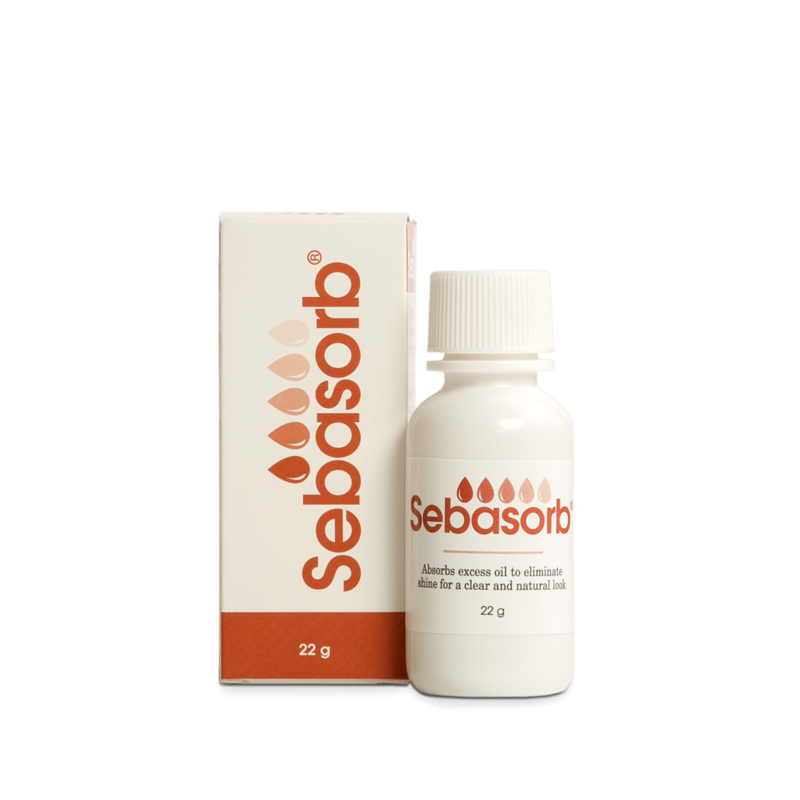 Sebasorb helps control oil-induced shiny areas with nature's oil absorbent -- attapulgite. So gentle, it's mild enough for your face - so that you can face the day with confidence. Dries clear and prevents shine for hours! 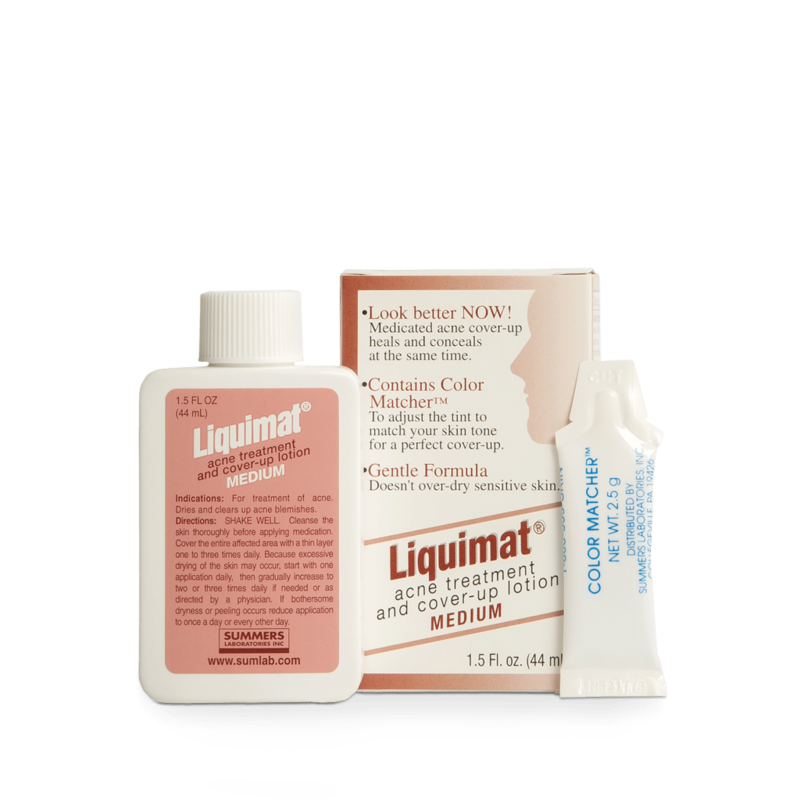 Liquimat is a tint-adjustable, water-based makeup combined with a premium, medicated acne lotion. Liquimat helps to keep you looking good while simultaneously being an acne fighting foundation. Wash your face up to twice daily with a gentle face cleanser to ensure that the excess oil you’re producing does not clog your pores and cause damage to your skin. Use non-comedogenic makeup, like Liquimat, to maintain healthy skin. Be sure to wash it off every day to let your skin breathe. Overwashing your skin can dry you out. Use an oil-free moisturizer so you can hydrate your skin without adding extra oils.